Today I've got Delush Polish - Dark Passenger. 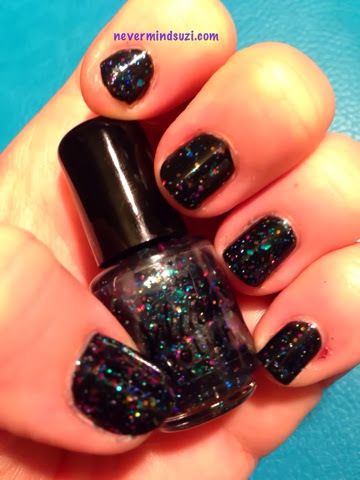 A black jelly full of multi-coloured glitters and a strong presence of teal. I've layered it here over Essence - Black is back. 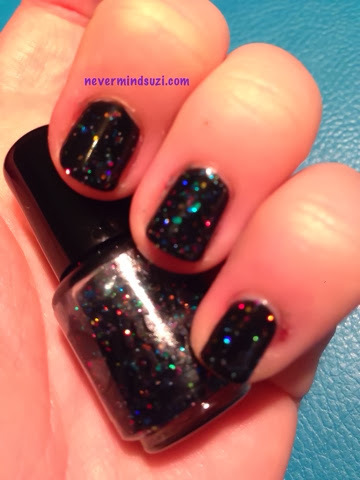 For me this is the perfect kind of winter colour, dark so it's forgiving on even the shortest of nails but the glitter means it gives you that bit of colour and sparkle that you need.